ORDER DELIVERY & TAKE-OUT ONLINE! CHECK OUT OUR NEW AND UPGRADED MENU! 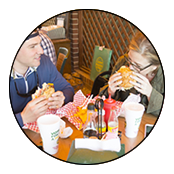 Carytown Burgers & Fries – #BESTINTOWN! 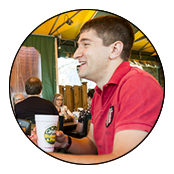 We continue to have the best service in town… because we know our food is not the same without amazing customer service. We use only the best ingredients. After all… there’s no other way to create the best products! 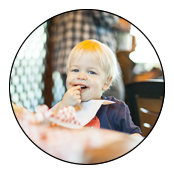 In addition to the best burgers, we have vegetarian, chicken, kid’s menus, and options galore. A Richmond tradition, we started the burger wave! WE ARE FOODIES, WE DO IT RIGHT! WE NEVER FREEZE OUR MEAT! Can CB&F cater my upcoming event? Mike Barber (our proud owner!) worked in catering for many years before opening Carytown Burgers & Fries here in Richmond. 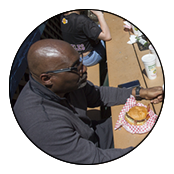 With his vast experience and our amazing burgers, we bring our brand of delicious burgers, fries and more straight to you! With two “ready to roll” food trucks, we cater a variety of events through Richmond, from corporate events to festivals, parties and anything in between! Please call our Catering Hotline at (804) 543-6888 or e-mail our team by clicking here. We ask that you include your proposed date and time for your event, as well as your location and expected number of guests. Thanks for giving us the opportunity to “deliver” amazing tastes to your next big event! 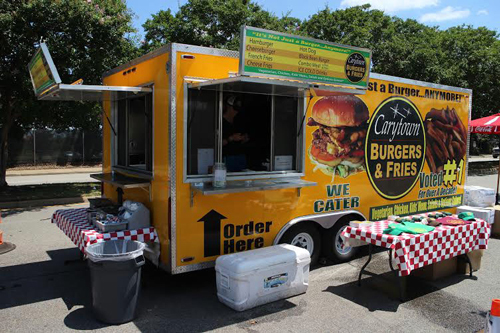 "Carytown Burgers and Fries is one of the best places in town to get a burger. Always has been, and in my mind always will be. Hands down. Anything from a plain hamburger to one of the 20 something specialty burgers, all of them are great." "The staff was so sweet and willing to change up your order, with no hassle. They all seemed to really enjoy their job, and that makes ordering that much more enjoyable. I walked in thinking the restaurant was only an order and to-go, but to my surprise, there was an upstairs dining area! It was a nice, warm (which was perfect for the windy, cold weather) getaway and great for catching up with old friends :)"
"One of the best burgers spots in RVA! no need for a lengthy review- if you like a good cheeseburger or burger in general CHECK THIS PLACE OUT. They also have vegetarian and vegan options which is also awesome. It can get busy and a bit crowded as it is a small restaurant, but it is worth the wait!" "It's the best burger place if you are meat lovers who craving cheesy burgers with extra amount of cheese!!!! Cheesy fries are great! I just have no words to describe how much I like this place." 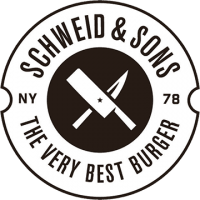 "Great local joint for burgers. Been going year for over 15 years and the place hasn't lost its touch. 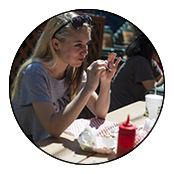 The Kojak burger is awesome and a must for all food enthusiasts." It's Not Just a Burger... Anymore! Score some unique Carytown t-shirts, hoodies, hats, beanies, and other awesome merchandise! Join our mailing list for news, special, and free goodies.